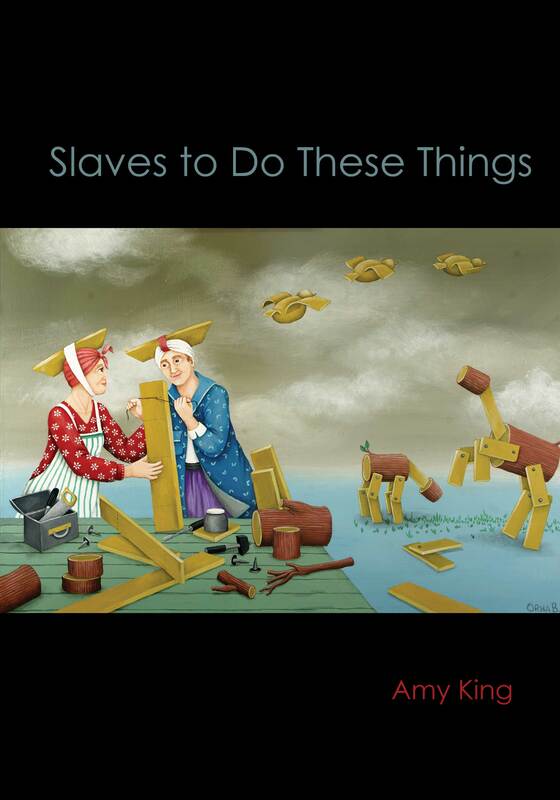 Slaves to Do These Things is now available on Amazon (SPD later) for order – enjoy! “I’m portable. My mind travels / the verse and valleys of whole people says the poet.” Correct! Readers of this book will discover their own memories. They will melt in them, amazed, lullabied, dramatized, shocked that they exist. Amy King is a true bard. Smoke n’ hott, these poems emerge as “… audible diamonds that cut,” where Rock is King & candor disarms paranoia, or, in King’s case, downright dismembers it: “Forgive me, I am the final/ seminary soul to check your shape/ in the dress of that embalming line.” Passengered adeptly under the influence of Lorca, Neruda maybe, (“Buried by midnight/ I am a warm/ fly in amber.”) the reader wants to shout, GO DUENDE!!! “Amy King is a poet’s poet, highly respected in the contemporary world of letters. Her latest collection of poems reveals why. “While the imperious imperialism of the title speaks of inequality, distance, and irony, King’s latest book, her third from BlazeVOX, actually draws and holds the reader close. You’ll feel understood by this book as it speaks of birth, divinity, and the sociocultural moment that may have you weary. I like King’s invocation of American angst in poems such as ‘Stimulus Package’ and ‘Everything Happens At Once’; the former ends with the lines ‘we ignore the dress of death/ when they mirage America back,’ while the latter begins with ‘the government wants their money,/ retirement shrinks its future,/ I am stuck at the bottom of alert/ that is only a test/ of what?’ She grabs and inverts the crummy corniness that keeps people up at night.